You are here: Home / Heather / Continue your journey and let your hearts rejoice. 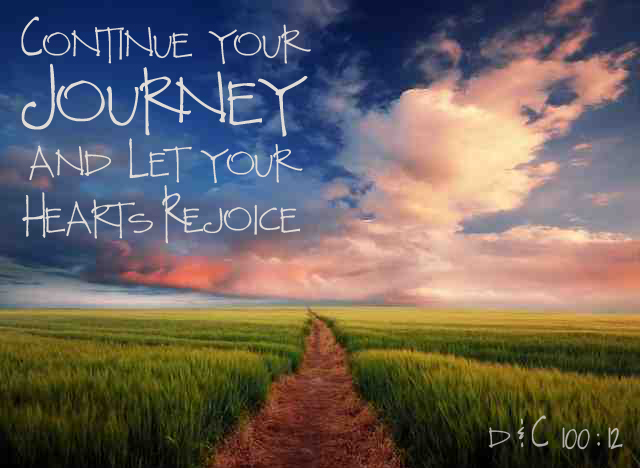 Continue your journey and let your hearts rejoice. This week was a wee bit rough. After all, Scotty is 6 weeks old, and therefore, I felt like I should get back to “normal”. So I tried to live a more “normal-ish” life attempting to get more accomplished and out the door quickly with kids in tow. I must remember that with every change there comes a “new normal”. The new normal usually means DOING less … and LOVING more… like snuggling a babe. And boy does that babe like to be held. He is NOT a good sleeper. We’re working on that. I was trying to plug 2 or 3 other things into my day like “zip” to the store for ingredients for s’mores bars… and a trip to provo with 6 kiddos. Too much Heath! Slow down. By the end of the day, I felt like I was sinking emotionally & mentally. This tends to happen when I don’t get enough sleep … and ya know… Stress. Early to bed… it’s always a good thing. Things are always better in the morning. (uhhh, most of the time). 2 tots snuggled in bed with me. She snuggled her cold feet into me. We giggled about her Stinky-Pinky-Blankie. Having just read a sweet blog about appreciating every breath of life. Kara shared that she used to dread the kids waking her up because she longed to go back to sleep. Now that she knows her time in this life is short, she cherishes every bit of time to show those kids her love, even the snuggle in bed moments. This reminded me to enjoy the “mine feets cold” and the “Mom, will you please get me breaFkast?” I’m grateful for love and life. Fast forward to Saturday morning. I spent Friday night trying not to feel mad. So silly… but tired mama with feeding/burping babe… changing 3-year-old’s pee-pee sheets in the middle of the night and wondering why the plastic sheet didn’t save the mattress… intense/weirdo dream… busy husband working on church calling presentation/stuff. I just needed to chill. I knew we had a day of putting the home back together… encouraging littles to work on their jobs from the entire week. some in cheer and helpfulness. I’m grateful for each day. p.s. yes, I realize this is a scattered post. My poor brain is really tired and doesn’t compute very well these days. https://www.jimmyandheather.com/wp-content/uploads/2013/10/200-x-100-logo.jpg 0 0 Heather https://www.jimmyandheather.com/wp-content/uploads/2013/10/200-x-100-logo.jpg Heather2014-10-18 22:17:422014-10-19 03:45:13Continue your journey and let your hearts rejoice.